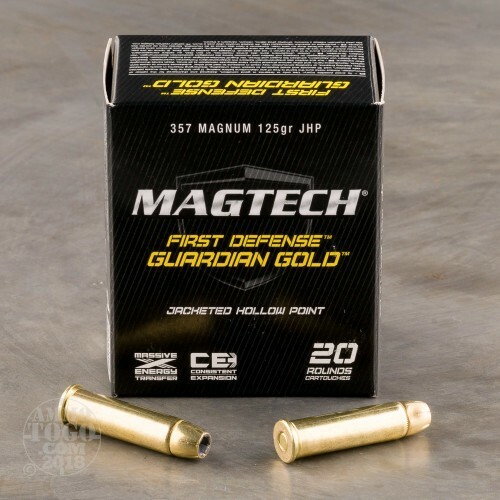 Magtech has been committed to producing high quality ammo for more than 90 years. The company manufactures all their own ammo components, giving them full control of every step of the manufacturing process. Using only the highest quality raw materials and cutting-edge production techniques, Magtech’s attention to detail has made them an internationally respected name in the shooting world. 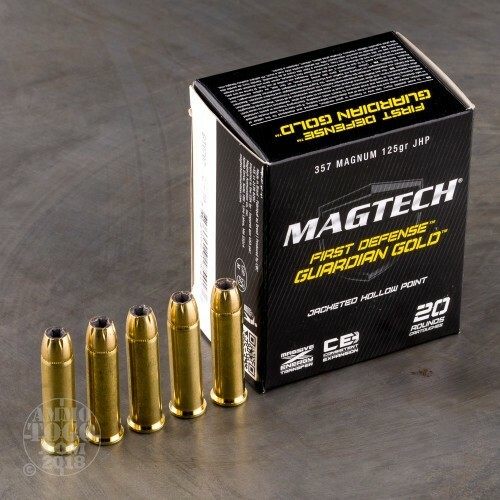 This package contains 20 rounds of Magtech Guardian Gold .357 Magnum ammunition. 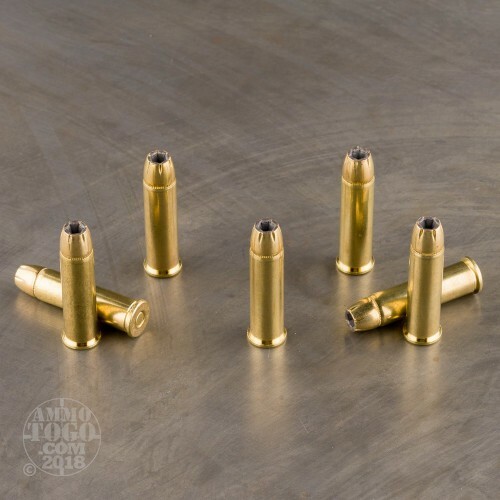 Each cartridge is loaded with a 125 grain jacketed hollow point projectile. 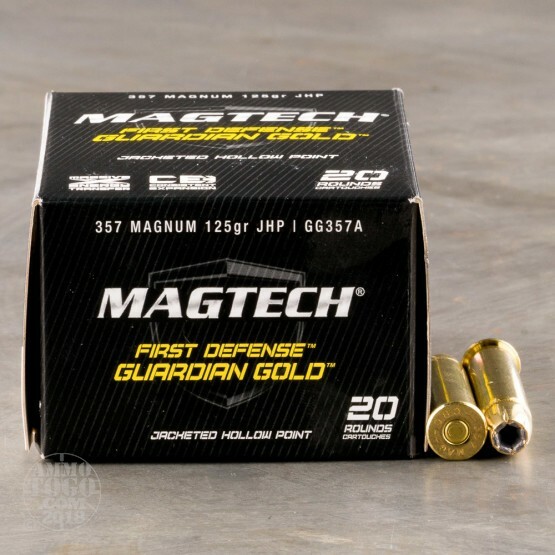 A smart option for personal protection, Magtech Guardian Gold provides a great balance of penetration, expansion, and accuracy. These rounds are also surprisingly affordable. Each round of this factory fresh ammunition undergoes meticulous quality control inspections before reaching the consumer. Each reloadable brass case features a reliable ignition primer and high-quality, clean burning propellants. Each round produces a consistent muzzle velocity of 1378 feet per second and 527 foot pounds of muzzle energy. We shot five of these Magtech rounds through a four-layer cloth barrier using a S&W 640. The results are detailed in the video you see above as well as the photographs. Through the charts, you should get a great idea how this Magtech ammo stacked up relative to other 357 Magnum ammo products available to American shooters. 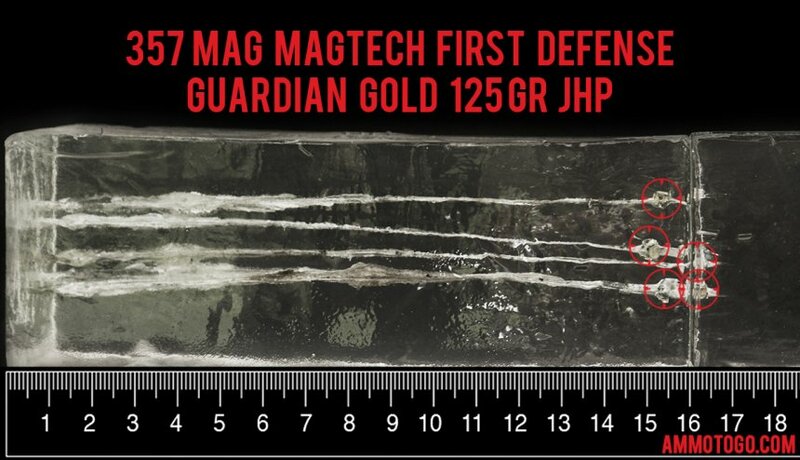 How do the results for this Magtech 357 Magnum compare to other 357 MAGNUM? Penetration Depth Compared to 357 Magnum Tested 0" 10" 20" 30" MIN 9.2" MEDIAN 17.3" THIS AMMO 15.9" MAX 41.7"